I think I need it. Looks perfect for the trail. Of course I'd get a tag with my name and ph# made and sewn into it....in case I left it on the trail....'most' jeepers are honest. Hmm, looks like it would be worth the investment, far easier to pack that around than a cumbersome toolbox. Would also work well for those trips to Pick-A-Part yards. A bit expensive in my opinion. 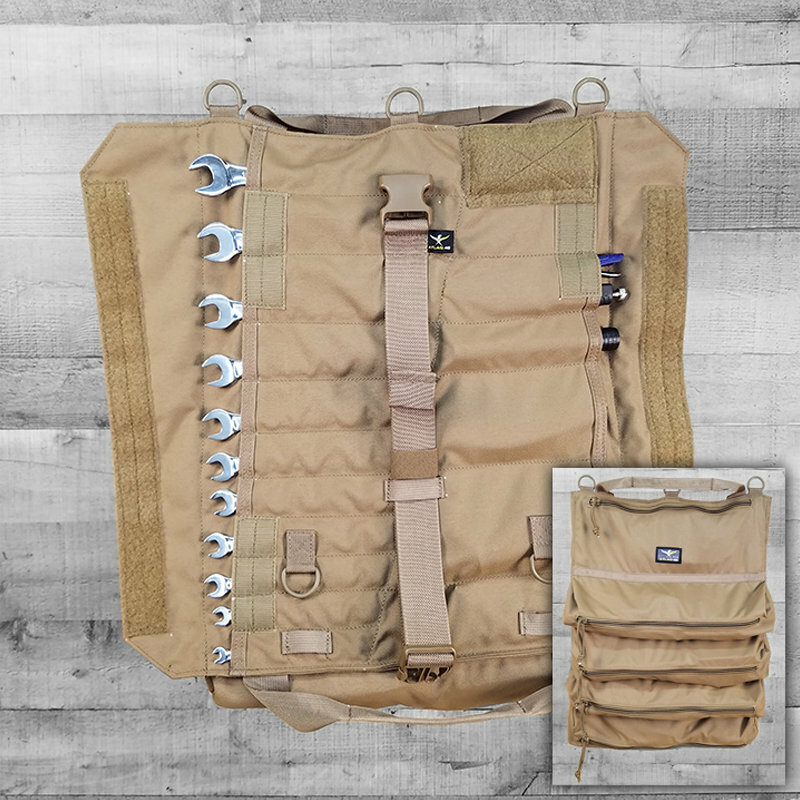 For more than double the storage capacity at about 15% of the price, you could just pick up a surplus large tool bag. I got a couple of tool rolls from Amazon for about $15 each. They only have the slotted storage but they are well worth it. I even got one for my garage tool box. I've always liked the Atlas roll but am put off by the price. If it were 50% off, I would *maybe* consider it. That being said, I'm a huge fan of 5.11 bags for general use, which are quite expensive. I don't mind spending the money on them though because I know they'll last years and years. They're made so well I don't really foresee needing to replace them in the future. Same here. 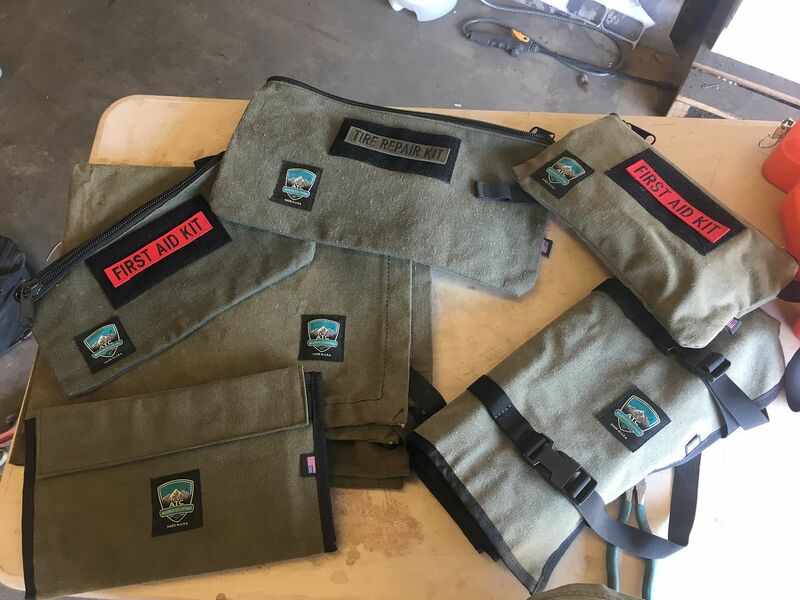 I don't see how they can sell a tool roll for as much as they're asking for them. I was interested in buying a couple but nearly fell out of my seat when I saw their prices several years ago. williambmac and ChrisHager like this. *****......I just saw the price.....yea...they are a bit proud of it. But I really like the pouches on the back side. No doubt. If they were cheaper, I'd likely have one. My current setup is a cheap tool bag holding some various tools and tie downs (messy and unorganized). I have a second bag, one of the boys' diaper bags from back when, holding tow straps and the like. This keeps everything together and is easy to move from vehicle to vehicle. It's not at all a bad setup but I wouldn't mind re-configuring everything to a more organized system. That roll would be quite handy. There's no way I'm shelling out $125 for a storage bag though. I just went to my local LOWES and found an AWP bag that works for my trail tools. 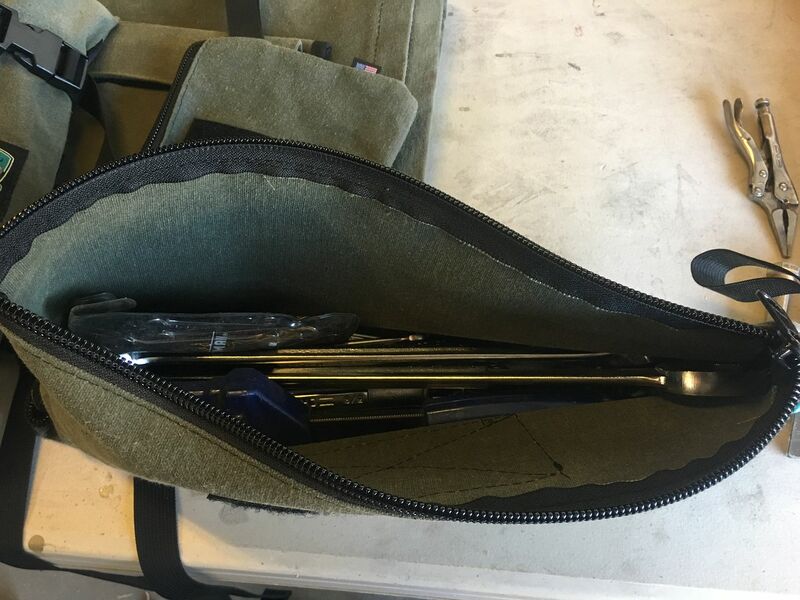 I keep my wrenches, sockets ect in the original clamshell plastic case they came in and then "special" stuff like long extensions, breaker bar, large cresent ect ect ect goes into the AWP bag and into the back of the Jeep for trails and camping. 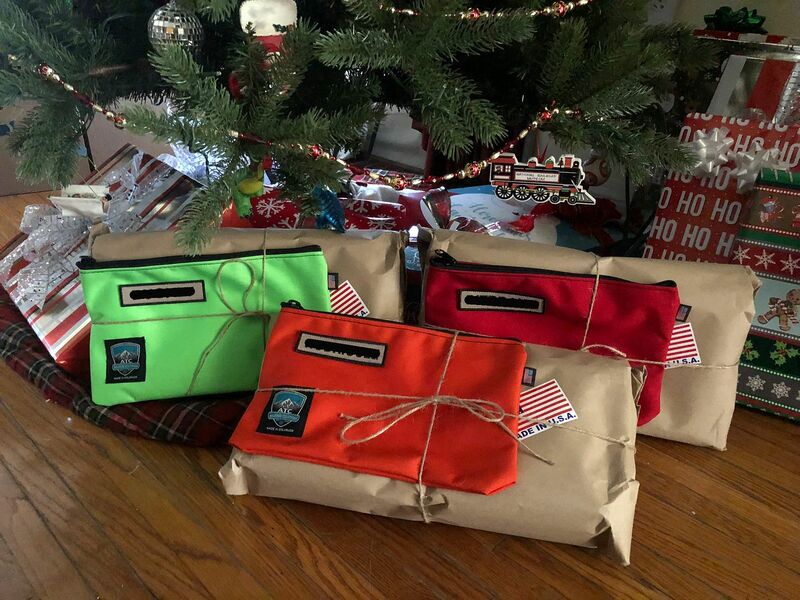 You can pick up cheap AWP tool rolls to put wrenches and stuff in too and just drop them in the bag. 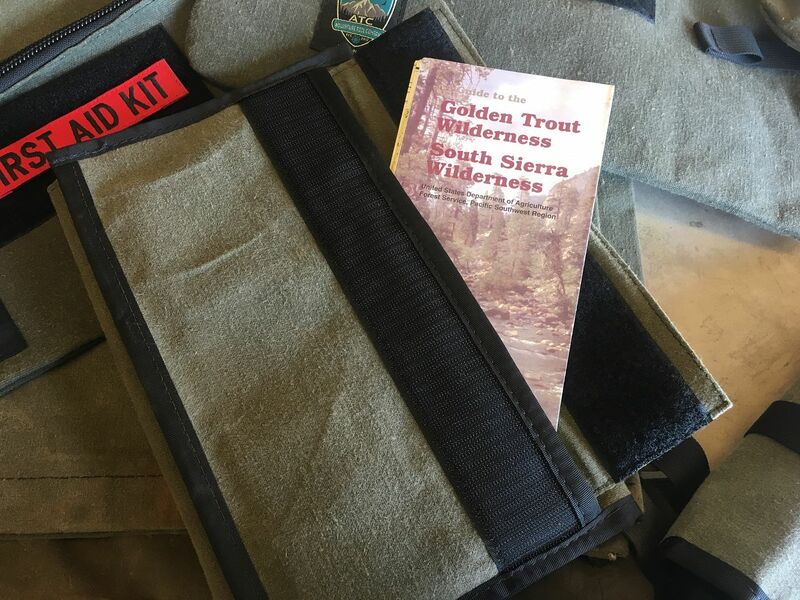 I use a couple of small clip on AWP tool pouches in my bunker gear pants to hold various tools as well. Those military type canvas bags work pretty good too and I have a few laying around I use to house sets of stuff. Mine are from Rothco which is who I'm pretty sure builds the one linked above. They're built good enough. I have one that has my gun tools in it, one has soldering and electrical stuff, things like that. I am FanBoy of ATC. Hand made in Co. VERY durable. I doubt I will replace one in my lifetime. They have a few rolls available. The small canvas tarp is a winner for laying on the ground fixing drivelines, etc. Also makes a great shooters mat or even a drone landing pad to keep prop wash dust at bay. I carry different versions in many vehicles besides the Jeep. Note, these are made of waxed canvas, if that smell is not pleasant to you, try the cordura versions they sell. The "Gear Bag" makes the best range bag I have ever used. I like them so much, I gave a few as Christmas presents this year to some "Friends".